American off-road 4x4 enthusiasts have to face a harsh truth: two-door body-on-frame chassis SUVs were sales failures. Pick one. Anyone. All failed. Need proof? All are discontinued. The only exception is the Jeep Wrangler, and even here Jeep launched the Wrangler Unlimited because Americans like love rear doors. Heck, there are even cases where automakers stopped selling SUVs entirely in the US. But the question remains: why did two-door SUVs ultimately fail? That’s simple. Mainstream buyers didn’t want them. Why? Lack of interior space. They also didn’t offer the usability and conveniences of their four-door counterparts. It’s hard to justify buying an SUV as a family vehicle without rear doors. Therefore, two-door SUVs became niche vehicles and, as we all know, niche vehicles have never been and never will be good business cases. Despite everything, we’re still huge fans of rugged, two-door off-roaders because they’re cool as hell. So we’ve picked out 13 of our favorite two-door SUVs from over the years and if you so happen to be interested, there are plenty of used examples out there for sale. Happy off-roading! The is typically considered to be the first modern era SUV. Unlike the Grand Wagoneer, the Cherokee XJ arrived in 1984 with simple and more modern styling for the time and more compact dimensions. 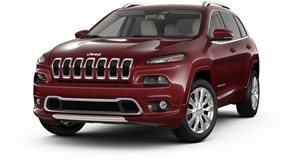 It was a far easier SUV to live with on a daily basis compared to any other Jeep that came before. Without question it was a game changer. Originally developed by AMC prior to its bankruptcy and sale to Chrysler, the Cherokee XJ was on the market for 18 years before it was replaced by the Liberty for 2002. However, the two-door Cherokee was dropped from the lineup after 1996 due to slow sales. Again, Americans wanted space and even the four-door Cherokee wasn’t exactly a role model for interior volume, hence the arrival of the Grand Cherokee in 1992. Yet another iconic SUV that Americans fell hard for. Launched for 1991, the was originally a body-on-frame SUV that shared a platform with the Ranger mid-size pickup truck. The Explorer also served as a successor to the less refined Bronco II (see below). Two-door Explorers did sell for a time but never reached the popularity of the four-door version. Even when the Explorer was rebadged as the Mazda Navajo it never achieved real success. It wasn't a bad SUV, just not very desirable for mainstream consumers. Fortunately, the two-door Explorer was built for both the first- and second-generation models, later rebranded as the Explorer Sport. But again, numbers don’t lie and it was dropped entirely when the third-generation Explorer hit the market for 2002. Shame. We all know the Ford Bronco is an icon. It first arrived way back in 1966 and remained on sale for the next 30 years. . Despite being classified as a full-size SUV, the Bronco always remained a two-door vehicle, steadily growing in size thanks to its shared platform with the F-150 pickup truck. This allowed for not only increased cargo space but improved rear seat space as well. . All the while the Bronco remained a tried and true off-roader with optional V8 power. The smaller Bronco II arrived for 1984 and was based on the smaller Ranger pickup truck platform. 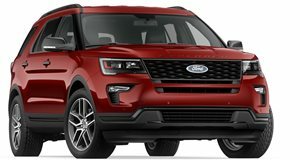 Ford rightly recognized the growing market for smaller, user-friendly SUVs upon the arrival of the Jeep Cherokee. Both Broncos, however, were replaced by the Explorer. Despite the recently , the original Blazer and Blazer S-10, like their Ford competitors, were body-on-frame SUVs. The original K5 Blazer arrived for 1969 as a direct competitor to the Bronco as well as the International Harvester. It too shared a platform with a pickup truck and was a two-door only until its death in 1991. The Blazer S-10, again just like the Bronco II, was Chevy’s attempt (and a highly successful one) to cash in on the new compact/mid-size SUV market. The first generation came for 1982 and it wasn’t until 2005 when the second generation was discontinued. The two-door Blazer (and its GMC Jimmy twin) made it until 2004. 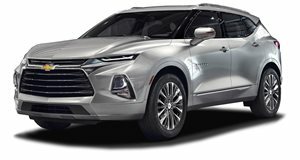 Unlike what Ford did with the Bronco and Bronco II by replacing them with the Explorer, Chevrolet consistently kept the Blazer nameplate, and simply launched a new one for its full-size SUV. There was no way Chevrolet would be willing to give up the full-size SUV segment entirely when the K5 Blazer was dropped, hence the introduction of the Tahoe in 1995. It was essentially a renamed K5 Blazer. 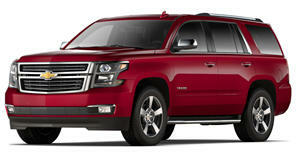 Still on sale today and more luxurious than ever, the Tahoe has remained consistent (unlike the Explorer) by retaining its body-on-frame chassis and optional V8 engine. Unfortunately, the two-door Tahoe was on sale for only one generation, until 1999. Its and we don’t see this changing anytime soon, if ever. Anyone remember Isuzu? It left the US market in 2009 but by then it was only selling rebadged GM vehicles. But in the late 1980s and throughout the 90s, Isuzu was doing fairly well in the US with , which went on sale in North America in 1989. The four-door Amigo didn’t go on sale until the following year, meaning the two-door was considered a higher priority at the time. What was cool about the first generation two-door Amigo was that it offered a rear soft top – a direct competitor to the Jeep Wrangler. Another interesting factoid was that the Amigo originally came only with a manual transmission. The second and final generation Amigo arrived in 1998 following a three-year US market hiatus. Again, it was originally only sold as a soft top with a manual gearbox, but the hardtop and an optional slushbox arrived the following year. The four-door version was also renamed the Rodeo, but it’s the two-door soft top that remains dear to us. Yes, seriously. The Kia Sportage was, once upon a time, a real SUV. And yes, the first generation was not only sold as a two-door but also with a soft top, just like the Isuzu Amigo. Kia was a very different automaker back in 1993 when the first Sportage arrived and didn’t have anywhere near the. But still, Kia was determined to make it in America. To help save on development costs, the original Sportage was co-developed with Mazda, which at the time was in an alliance with Ford, meaning the first Sportage also had some Ford lineage. Also like the Amigo, it could be had as a four-door. 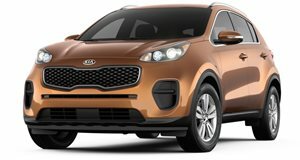 Here’s another interesting fun fact: the Sportage was the world’s first production vehicle to come with a knee airbag, starting in 1997. The first-gen Sportage survived until 2005 but sadly the two-door was dropped when its successor came the following year. We like to refer to as the ‘Mallfinder’ for obvious reasons. But things were very different back in 1987 when the original Pathfinder hit the market. And like the Bronco II, the first Pathfinder was a two-door only SUV that shared a platform with a pickup truck. In fact, the Pathfinder was Nissan’s direct reply to the Bronco II, Chevy Blazer S-10, and Jeep Cherokee. The two-door Pathfinder looked so cool, in fact, that when Nissan launched the four-door version in 1989 designers concealed the rear door handles in the C-pillars, a styling trait still used today for the likes of the Nissan Juke and Armada. 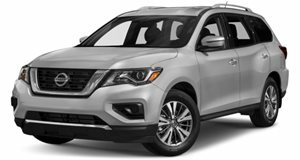 Nissan sold the original Pathfinder with either a V6 or an inline-four engine, paired to either a manual or automatic transmission. Rugged, mechanically simple and sound, and easy on the eyes, the original two-door Pathfinder will be forever cool. For everyone outside of North America, the Suzuki Samurai is , an SUV still very much alive and well today. The Samurai first hit US shores back in 1985 and sold as either a convertible or hardtop. The rear seat was optional. Not at all surprisingly, the Samurai immediately earned the respect and sales of 4x4 enthusiasts for several reasons, among them its solid off-road capabilities, general reliability, and its light-weight and compact dimensions. It was really more of a toy than an ideal daily driver, but that was part of its charm. However, in 1988 disaster struck: a . Suzuki disagreed with the findings but the damage was done. The next-generation Jimny never had the chance to be called Samurai in the US again. If the Samurai was a bit too rough around the edges, then Suzuki began offering an alternative in 1988: the Vitara. Thanks to a partnership with GM, the Vitara was soon sold as the Geo Tracker at Chevrolet dealerships. The Vitara/Tracker was quite a bit smaller than the Cherokee or Explorer, but it still managed to appeal to some buyers. Sold as both a two- and four-door and two-door convertible, the Tracker gained enough popularity to earn itself a second generation, which launched for 1999. By this point, the Geo brand had been eliminated, so it became the Chevrolet Tracker. Interestingly, as sales continued to drop in the US, the Tracker remained popular in Canada. Go figure. The two-door Tracker (and four-door) met its end in 2005. The . 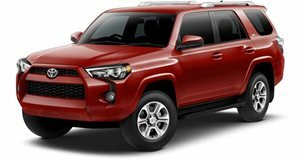 Despite increases in gasoline prices, a drop in SUV sales, and much more refined competition, Toyota has stuck with its always capable 4x4. The original 4Runner launched for 1984 and was a two-door SUV only. At first glance, one might mistake it as a four-door, but that’s because of its relatively long, wagon-like body. Like most of the other SUVs on this list, the 4Runner was, and remains, truck-based. The first generation was really nothing more than a pickup truck with a covered bed and some rear seats. It wasn’t until the second generation, which arrived for 1989, that the 4Runner begin receiving some more refinement. Unfortunately, the two-door body style was dropped entirely after the second generation went out of production in 1995.